When an individual receives a diagnosis of Alzheimer’s disease or another dementia, they are not the only ones who are affected. Dementia can profoundly impact the lives of those closest to the person, including caregivers, family members, and friends. People who are caring for someone with dementia will experience the challenges associated with the disease in their own unique way. It is important to recognize that there are many different approaches to supporting someone with dementia, and caregivers often need to explore a variety of techniques and strategies to determine what works best for them. Caregiving can be extremely challenging, both physically and emotionally. As the disease progresses, you may be required to provide different types of support, from assisting with financial decisions to helping the person complete everyday tasks. At times this may feel overwhelming. But there is hope. By educating yourself about dementia and learning care giving techniques, you have the ability to maintain quality of life for both you and the person you are caring for. Caregiving can often become a 24-hour-a-day job. Recognize that you cannot travel alone in your journey with dementia. You and your family member will benefit greatly from the help of those around you who care, including friends and family members. The Alzheimer Society of Manitoba is here to provide you with support and information as you learn to cope with dementia, both now and in the future. From time to time, we receive notifications about health alerts and recalls that may be relevant for people with dementia and their caregivers. Caregivers of people with dementia find they need to advocate on behalf of the person they care for and themselves. Being an advocate requires skills that include problem solving, communication and often persistence. We know it can be difficult for caregivers to explain behaviors brought on by dementia to those who are unfamiliar with the disease. To ease this challenge, you can create and print cards to carry with you. 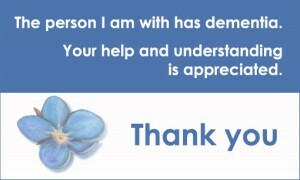 Show this card to others letting them know that the person with you has dementia and their understanding is appreciated. Click here for a printable pdf of the card. Information about support groups for caregivers facilitated throughout Manitoba – benefits, facilitators, how to join and a listing of the support groups’ times and locations. 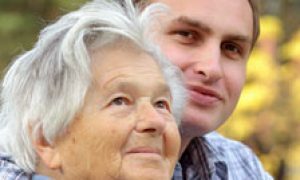 It is strongly recommended that a person with dementia, their family, their health care proxy and their power of attorney discuss legal, financial and health matters as early as possible after a person has been diagnosed. Find practical information about financial matters that will help the person with dementia and the power of attorney make decisions that are in the best interest of the person. When caring for a person with dementia, it is important to be knowledgeable about the resources that are available. To assist you, a compilation of helpful community resources are listed in this factsheet. Ways to assist a person with dementia to live safely in their own home are outlined in this information sheet. Tips for increasing safety in the kitchen, bathroom, bedroom, living areas and outdoors are detailed. A summary of the more common forms of dementia including the description, causes, symptoms and progression of each – Alzheimer’s disease, Vascular Dementia, Lewy Body Dementia and Frontotemporal Dementia. Practical guidelines and cueing strategies that promote the independence of a person with dementia are discussed. These additional supports are valuable when the person’s abilities change as the disease progresses. People with dementia are 4-5 times more likely to fall than older people who do not have cognitive impairment. Learn more about the reasons why people with dementia may fall and practical ways that you make your home safer for them. The fact sheet includes the Reducing Risk of Falls for People with Dementia Checklist. Information about the Alzheimer Society of Manitoba HELPLINE – a resource that answers questions about Alzheimer’s disease and other dementias, provides counseling and information about community resources. Whether planned or unexpected, a visit to the ER is never a pleasant experience. For people with dementia, who may be frightened and confused, it’s especially difficult. That’s why we created a new resource to make the experience less stressful for everyone involved and guide better care. Details about these information workshop are listed (visit the family education page on the website for upcoming dates and registration information). Information is provided about Pharmacare coverage by Manitoba Health and how benefit coverage for some medications for Alzheimer’s disease are obtained. Plan early to have a voice in your future. This checklist will assist you and your family as you prepare for important health, personal, financial and legal decisions. Ways to assist the person while maintaining their sense of identity and self worth are discussed in this factsheet. Information on how to recognize and support strengths, respect the person’s future and reminisce about things of the past are highlighted. This term, preferred by persons with dementia, represents how their actions, words and gestures are a response, often intentional, that express something important about their personal, social or physical environment. 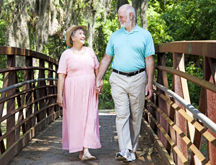 Guidelines on how to assist a person with dementia choose and enjoy leisure activities. Suggestions on a wide range of activities are listed in this information sheet. A person with dementia may experience changes in sexual desire or behave in ways that are not considered socially appropriate. This factsheet suggests some of the reasons why these behaviours may occur, ways to meet the needs of the person and approaches to challenging situations. Information about the benefits, how to join and the schedule of the support groups facilitated in Winnipeg by the Alzheimer Society of Manitoba. A practical resource that identifies tips for assisting a person with dementia at a special occasion or events. 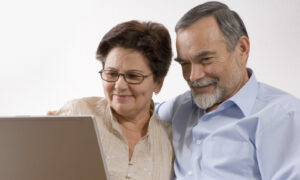 Ideas for caregivers planning special occasions are included. A person with dementia may experience changes in abilities that make it harder for them to cope with change in surroundings and daily routines. Traveling with someone with dementia requires thought and planning. This factsheet provide some tips to keep in mind to make the trip easier. Being active is an important part of the lifestyle of a person with dementia. Because of changes in the person’s ability to remember they may be at risk of wandering. This factsheet lists some common reasons for and how to prevent wandering. Good communication between the doctor, the person with dementia and their caregiver is very crucial. Here you will find ways to prepare for your visit, what questions to ask and things to do after the doctor’s visit. Visiting is a traditional way of maintaining connection with important people in your life. A person with dementia finds enjoyment in the companionship that a visit offers. Read through suggested ideas and themes for meaningful visits with a person with dementia. Information about the teleconference support group facilitated by the Alzheimer Society geared to the needs of caregivers of people with younger onset dementia – details about the benefits, facilitators, how to join and contact information. Keep in mind that you are not alone. There are resources available to help you. 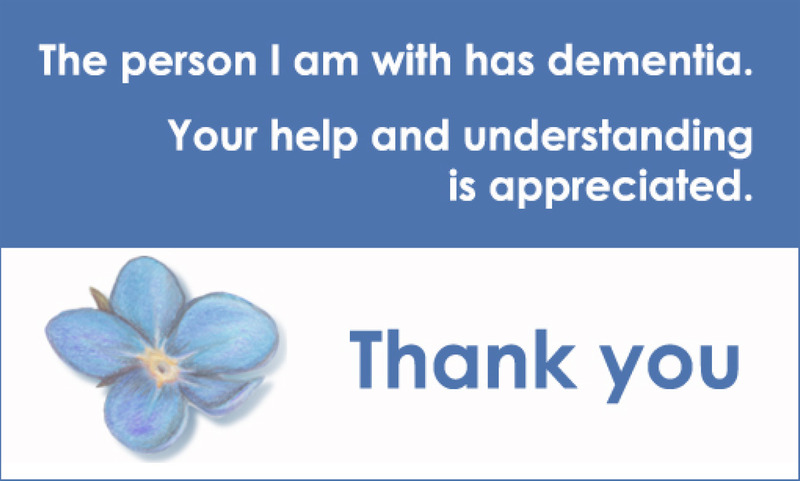 Alzheimer Society staff are always available to listen and to provide support. If you have been diagnosed with Alzheimer's disease or another dementia, this is the place for you to start. At any age, hearing about an illness like Alzheimer's disease or another dementia can be scary and confusing. It is important for you to be a part of the decision-making about your financial and legal affairs.